The Autodesk Entertainment Creation Suite Ultimate 2015 is a 15GB download containing all of the top media and entertainment software the company produces. Surprisingly, Sketchbook Pro 2015 is missing from this "ultimate" collection. 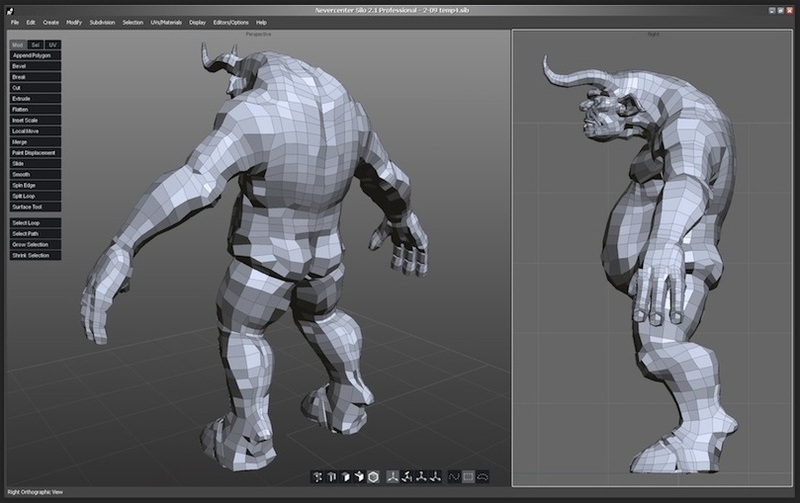 Now that we know Mudbox 2015 works on the Surface Pro, we don't expect too many other surprises. But it will probably take a couple of days to give everything a quick run-through. Keep checking the blog for updates! And even if you're not an Autodesk customer, you can give these tools a try out by downloading the trial yourself. 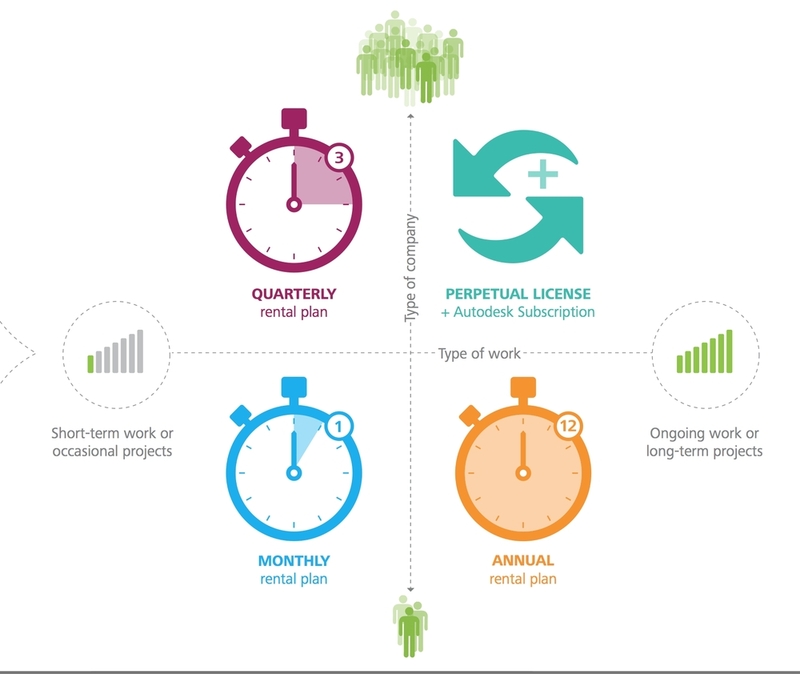 Click the Free Trial link here: http://www.autodesk.com/suites/entertainment-creation-suite/overview Autodesk offers free 36 month versions to students enrolled in accredited institutions. For more information, visit students.autodesk.com. The Autodesk 2015 releases mark the final version of Softimage. I had to grab the screenshot above to mark the sad occasion of the first install of the final release. UPDATE 12/13: We've already published a new version with improved icons. Check out the details here. When I published my review of 3d apps on the Surface Pro last week, many of you wrote to suggest I check out ArtDock. This fascinating utility creates a touch toolbar with common commands that can be used in conjunction with a pen. While we're waiting for developers to embrace touch and tablet oriented interfaces for their programs, this useful tool is the next best thing. I first encountered a sibling of ArtDock shortly after I launched this blog. 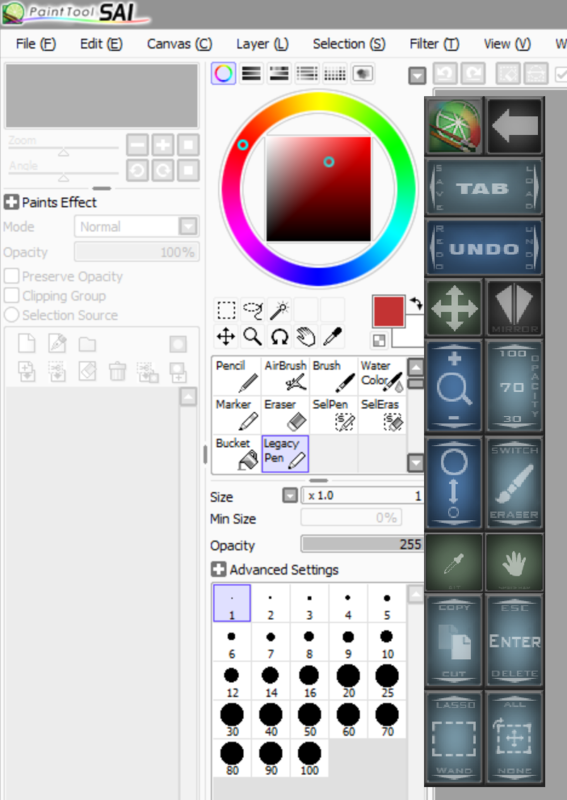 The ArtRage Pen-Only Toolbar seemed pretty geeky at the time and not very necessary, given the relatively simple UI of ArtRage. But the continued frustration with Photoshop forced me to take a closer look. It turns out that using and modifying ArtDock isn't as difficult as it first appears. The biggest challenge is to cobble together the various files needed to make it work on the Surface Pro. To make sure credit is given where it's due, below are the sources I referenced when researching this topic. These links are not essential to getting the Surface Pro Artist ArtDock up and running, so you may want to skip ahead to the installation instructions links below. These customized toolboxes, or docks, are made possible by an ingenious program called AutoHotkey, which enables users to assign common keyboard, mouse and touch commands to onscreen icons. The AutoHotkey script RawInputControlTest.ahk was first written for the Asus Eee Slate EP121. The script was then adapted for the Samsung Series 7 Slate here by tbaldree and dubbed Paintdock. Konartist3D further modified the scripts at his DeviantArt page, creating GUIs for Photoshop, ZBrush, Maya and others and dubbing the program as ArtDock. Over at TabletPCReview, DoctorBunsonHoneydew adapted the Konartist3D ArtDock for the Surface Pro. Although Dr. Honeydew's script is minimalist and very Surface-y, I found it to be a little inscrutable and not really aimed at artists. Therefore, I decided to go back to Konartist3D's work. Because it was developed for a larger screen tablet, I decided to scale all his icons up 150%. The buttons are now a nice size that is difficult to miss. I also made all the toolbars 100% opaque because I wanted to make sure that the small type on some of the icons was readable. Konartist3D also included a lot of desktop controls on his ArtDock that I couldn't make work on the Surface Pro, so I removed those. I also deleted Topogun and MyPaint controls because I didn't have those programs to test. Lastly, the original ArtDock includes a program called TGuard that toggles touch on and off. This is supposed to guard against stray marks, but I find it's very dangerous to use on the Surface Pro because it disabled both touch and pen control while I was experimenting with it. Needless to say, I deleted that as well. Here is the resulting launcher. The ArtDock will open in the top left corner of your display. To move it, just drag the top left icon with your finger. The middle top icon minimizes the dock and the X closes the dock. This first pass includes toolbars for Photoshop, Sketchbook Pro, Paint Tool SAI, Maya, Silo, ZBrush and 3DS Max. The deleted icons for Topogun and MyPaint are included in the archive if you'd like to restore them. Tapping any program icon loads the appropriate dock. To drag any of the program-specific toolbars, just tap and hold the program icon. Tap the Left Arrow to return to the launcher. Several icons have multiple commands. Tapping the Tab button will clear menus, but tapping and dragging left or right will bring up the Save As or Load file requesters. The Undo button becomes a Redo if you tap and drag left. Holding down the move button will allow you to drag a selection with your mouse. Holding down the shift button will allow you to add to a selection. Dragging up and down on the magnifying glass will zoom in and out. You can scroll through various transparency amounts with the Opacity button. The icon on the left changes the size of the brush nozzle and the one on the right toggles between brush and eraser. Hold down the eyedropper to sample a color and hold down the hand icon to pan around your image with the pen. The remaining buttons are cut/copy, Esc/Enter/Delete, Lasso/Wand and Select All/Deselect. 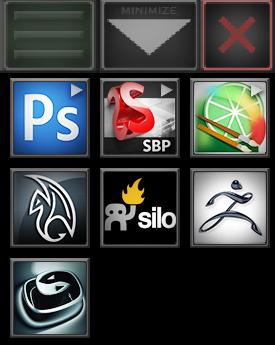 Below are the other toolbars included in the Surface Pro Artist ArtDock. Not all programs benefit from having a custom dock. I've included Sketchbook Pro because it was part of Konartist3D's original archive, but I don't think it make much of an improvement to an already well designed program. Paint Tool SAI's crowded UI really benefits from the custom dock, but I'm not certain these are the most appropriate functions to include. Your suggestions are welcomed. The Maya buttons dwarf the standard icons. The precise selection and placement of commands is very flexible. Please send along suggestions if you think other tools should be added to the dock. ZBrush is a little less intimidating with its custom dock. First off, you need to install AutoHotkey, located here. Then download and unzip the Surface Pro Artist ArtDock here. Copy the artdock folder to your C:\ drive. Create a shortcut of the file ArtDock.bat and pin it to your desktop or taskbar. Start the ArtDock and then your desired program (Photoshop, etc.). Tap the corresponding ArtDock program button. Move the launcher by holding and dragging the top left icon. Move program toolbars by holding and dragging the program icon. I've only tested the Photoshop toolbar thoroughly. If you encounter problems with any of the other toolbars, please let me know so that I can make corrections. I'm also not certain that Konartist3D has chosen the most appropriate commands for each of the programs. If you think there are more important shortcuts to include in the docks, please let me know. The toolbars can be shortened or expanded as necessary. I'd like to add controls for additional software like Softimage and Mudbox, but I can't commit to doing so right away. If you care to contribute icons or program controls to your favorite software, please do so and share your work with the community. Surface Pro is the number one Windows tablet for artists, but the user interfaces on most 3d graphics applications don't pass the touch (or pen) test. 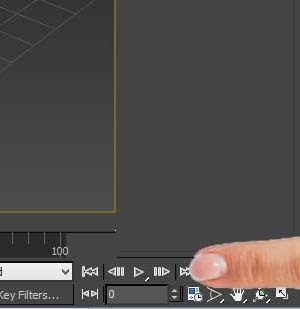 3DS Max and Maya 2014 installed...but then what? OPINION Like their 2013 counterparts, the newly released Autodesk 3DS Max and Maya 2014 install and run properly on the Surface Pro. But these two powerhouse programs point up a lot of what's wrong with Microsoft's "no compromises" device. It's frankly amazing that so much computing power has been packed into the tablet form factor. And so long as scenes fit within the tablet's limited RAM, rendering times are relatively quick. But the Surface Pro's 10.6-inch screen size and 1920 x 1080 resolution make both programs' crowded UIs next to impossible to use. The standard 150% magnification of the system text only affects the menu bar and dropdown items. All of the tiny icons in the interfaces are left unchanged and are so small and tightly spaced together that it is a chore to perform the simplest of tasks. So the final conclusion we've drawn is that 3d modeling on the Surface Pro will have to wait, at least for this generation of software tools. Hopefully Autodesk will soon port over the 123d suite of apps that have appeared over the years for the iPad. Although those applications are rather simplistic, they are at least designed for touch interfaces with their much larger touch targets and uncluttered interfaces. And when run on a muscular system like the Surface Pro, these tools might actually be useful. This also has to be a huge opportunity for independent developers who can build something fresh from the ground up. For example,Nevercenter's Silo 2 is a robust low-cost app that should be easy to skin for a touch interface. Adding multi-touch capability would be less trivial, but first things first. Windows 8 store development seems to be picking up, with Microsoft recently announcing that they've hit the 60,000 app milestone some six months after the store's opening. But quality creative apps are still very rare. For the Surface Pro and other Windows tablets to achieve their full potential, this has to change...and soon.